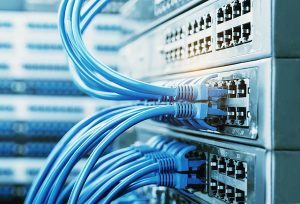 With extensive years experience in the design and implementation of high quality and reliable structured IT cabling networks, AJ Taylor can assist from design to installation, servicing Sussex, Surrey, Hampshire, Kent and London. Our highly qualified engineers have vast experience installing Cat 5e, Cat 6 an fibre optic cabling solutions to clients in both the private and public sectors. Our IT cabling team is professional, friendly and helpful in every project we carry out. It is essential that cabling can meet the growth of network traffic and we ensure your cabling infrastructure meets both the current and future demands of your home and business alike.